Just before Georgina Casanova had her first child, she dropped out of high school. After three more children, years of menial labor and separation from her husband, she realized she needed a high school diploma. That’s when she started working with Butler Community College’s Adult Education program. By the spring of 2013, Casanova, who lives in Augusta, had earned her diploma and started thinking about going on to college. That next spring, after finishing her coursework at Butler, this mother of four became both a CNA (Certified Nurse Aide) and CMA (Certified Medication Aide). Now, along with doing housework for people, she was able to help her clients with medical care. Eventually, Casanova obtained a job at Susan B. Allen Memorial Hospital – Immediate Care Clinic in Augusta. She gives shots, does lab work and uses diagnostic imagery. 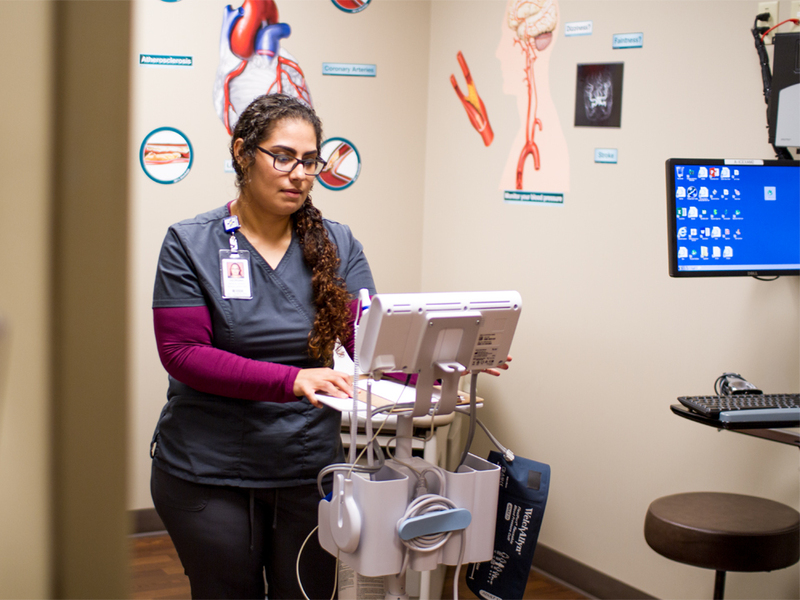 And, because she immigrated to Oklahoma from Mexico when she was four, Casanova is able to converse in Spanish with her patients – if they need her too. This fall, Casanova headed back to school, taking an anatomy course and a sociology course. She hopes to eventually obtain her nursing license. Because she’s going part-time, it will take a couple of years longer. Even though she has achieved so much, Casanova said she feels like she’s on a roller coaster – but one that turns out well. Not only did this mother of four want to finish school, but she wants her children to continue with their education as well.